Australians are queuing up to cruise the world’s southernmost continent with demand for bookings stronger than ever. 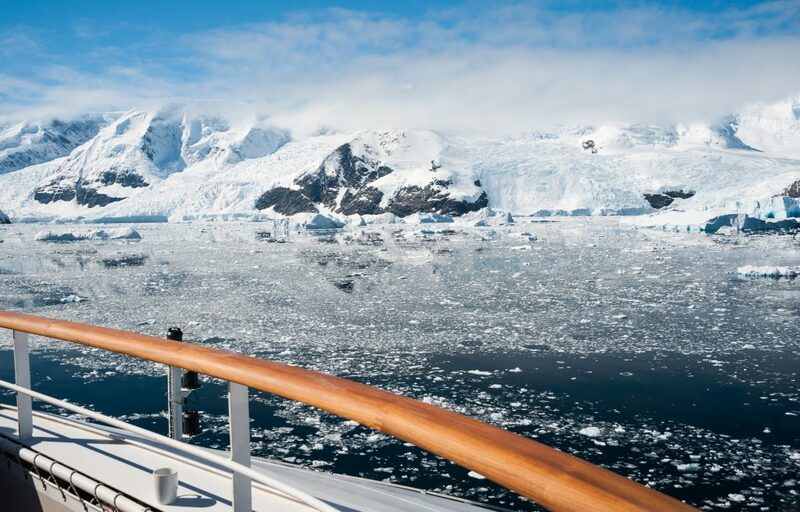 Passenger numbers for Chimu Adventures to the Antarctic Peninsula have more than doubled since 2008, says Chimu Adventures boss Greg Carter, with the upward trend climbing sharply over the past 18 months. “The GFC had a major impact on demand however that’s really turned around now as people have decided there’s no point delaying their travel any longer. Carter says there are still limited cabins left for the but anyone who intends going should book immediately or risk missing out. Among the most popular departures is Chimu’s Classic Antarctica 11-day round trip from Ushuaia, Argentina, the world’s southernmost city. Most passengers take the chance to add on a stay in Buenos Aires with a taste of Latin food, culture and night life the perfect contrast to the remote beauty of the polar region, Carter said. * Polar adventure with Andrew Denton and Jennifer Byrne, Feb 2017: Join much-loved media personalities and serious Antarctica fans on what will be their 11th trip between them. Enjoy on board lectures from the married duo and the rare chance to chat with them. Bookings on 1300 707 597 or see www.chimuadventures.com.au.